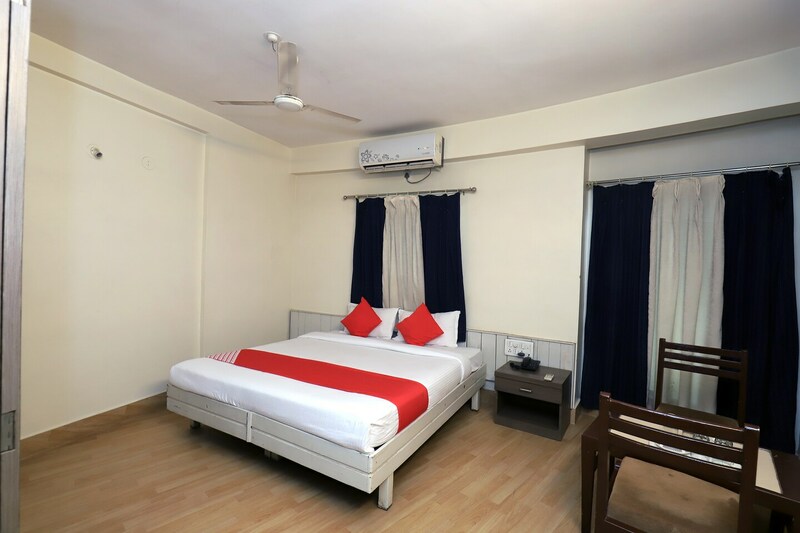 Hotel with Circular Infrastructure beside Siddharth Garden and zoo. Hotel Devpriya is a budget-friendly hotel located in Pushpa Nagari on the Aurangabad Road. The property is 5-minutes away from the Central Bus Stand and also close to the Aurangabad Railway Station. The hotel offers amenities like TV, AC, Free Wi-Fi, parking facility, power backup, laundry services, and an in-house restaurant. Many restaurants and cafes like Bhoj Restaurant, Hotel Paradise, Aaswad Pure Veg, New Maratha Hotel, and Hotel Green Olive can be found near the hotel. Mill Corner, Siddharth Garden and Zoo, Sawakar Statue, Shahid Stambh, Jama Masjid, and Navkhanda Palace are important historical and religious landmarks around.